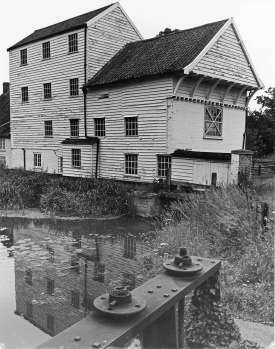 Marlingford watermill machinery and possibly the mill building was refurbished in the 1850s when it was geared to run 5 sets of stones. 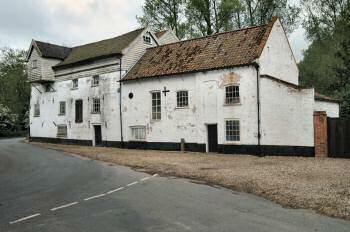 It was built of rendered brick and weatherboard under a Norfolk pantiled roof. 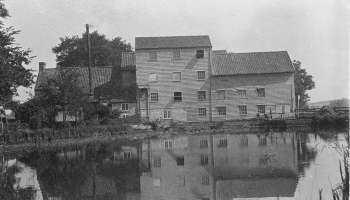 Although it finished grinding corn in 1912, the mill has been well kept. 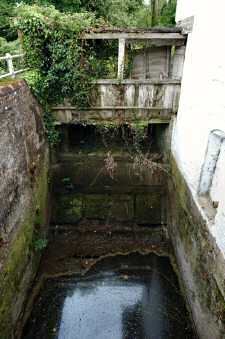 After milling ceased, it ran a turbine and pumped water to the hall via filter beds until the 1920s. 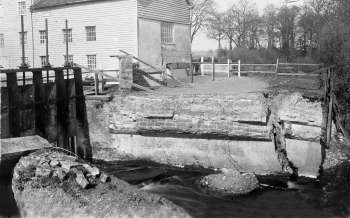 In the 1920s, a turbine and switchgear were installed to provide electricity for the hall and power a pump to push water to storage tanks at the hall via filter beds. 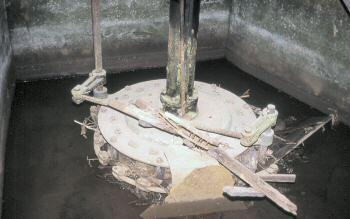 The turbine was taken out of service in the 1950s. 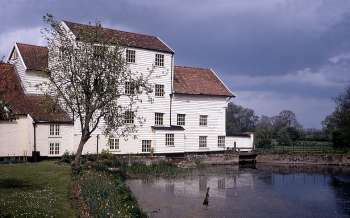 Although every care and effort has been made to provide correct information, it is not clear from the available records as to which miller was at which mill in the early years. If any viewer can throw any further light by supplying additional information, it would be gratefully received. 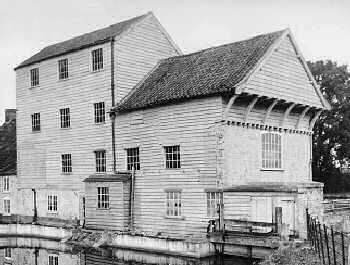 In contrast to the three pictures above, the three photos below clearly shows that the right hand section of the lower building covering the wheelhouse has been removed and the roof has gained its familiar wooden spandrel like supports. This appears to have occurred at some time between 1912 and 1925 could possibly have been necessary in order to remove the wheel or axle. 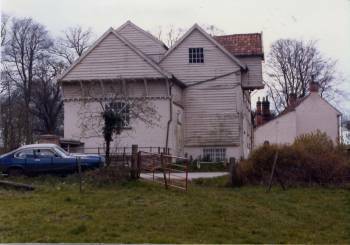 John CLOVER, Corn Buyer and Coal-Dealer, having taken the Granaries and Coal Bynns late Mr Theophilus EDWARD's, Merchant, deceased, situated in Wymondham, in Norfolk, solicits the Continuance of the Favours of Mr EDWARD's Friends and Customers, and also of the Farmers in general. 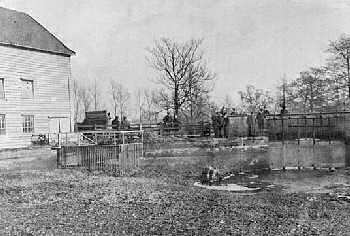 Constant Attendance will be given at the underneath mentioned Places for the buying of Corn, and a full Market Price may be depended on for all Sorts of Grain, according to Quality and well Dressing. 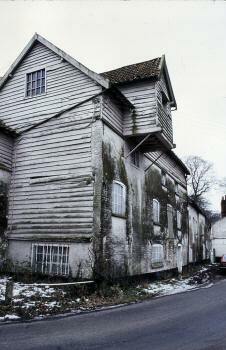 At Marlingford Mills every Day (Sundays excepted). -- The White Hart, Wymondham, on Fridays. Corn bought in the City of Norwich. At the Hand, in St Benedict's, Wednesday, Friday, and Saturday Mornings till Eleven o'Clock. -- The Bear, in the Market-place, from Eleven till Two. -- The White Swan, St Peter's, from Two till Evening. Places of Delivery for Corn. 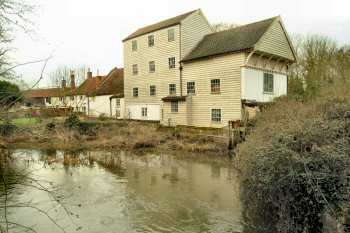 St George's, St Michael Coslany, and King street, Norwich, -- At Wymondham and at Marlingford Mills (for wheat only). N.B. 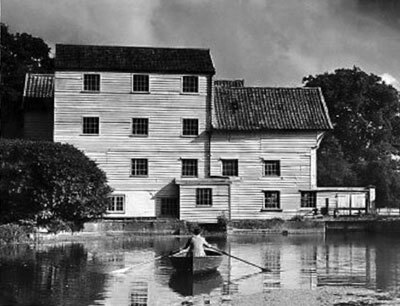 The Business of Marlingford Mill is continued as formerly for supplying of the Customers with Meal & Flour. For the Remainder of the Term, of which 12 years are unexpired. N.B. 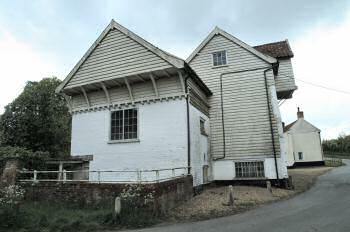 A new-built TOWER WINDMILL to be SOLD with the above if desired. 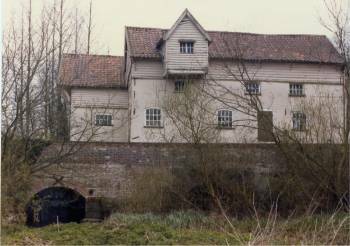 Also a very large new-erected WIND_MILL; which Mill with such Things belonging to the Water Mill as are not the Property of the Landlord to be taken by the Purchaser of the Lease at a fair Valuation. 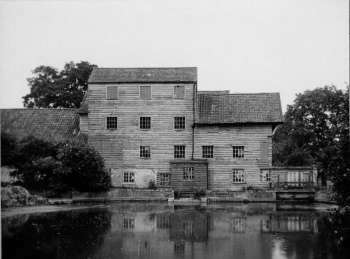 The great Improvements made in the Mills by the late Tenant, Mr. John CLOVER, deceased, have rendered them capable of manufacturing from 12 to 14 Lasts of Wheat per week. For further Particulars apply to Mr. Joseph CLOVER or Mr. John WRIGHT, Norwich. 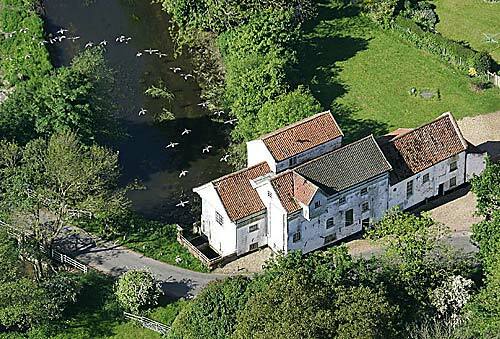 A most valuable Watermill, with a good house, other buildings, and about 67 acres of excellent arable and meadow land, in Marlingford. 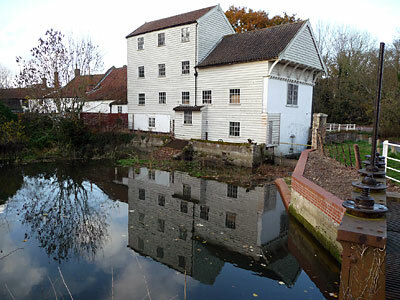 To be let for a term of years With immediate possession The MARLINGFORD MILLS situate on a fine stream of water in an excellent wheat country, driving 5 pairs of stones. 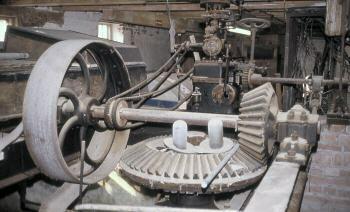 The machinery, which is nearly new, is in first rate condition. 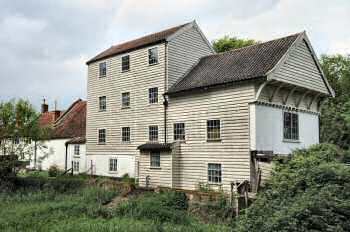 The above Mills are distant seven miles from Norwich and five miles from Wymondham Station of the Eastern Counties Railway. 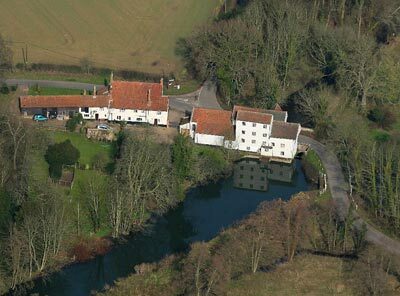 Apply to T. L. EWEN, Dedham, Essex or William BARNARD, Bracon Ash, near Norwich. 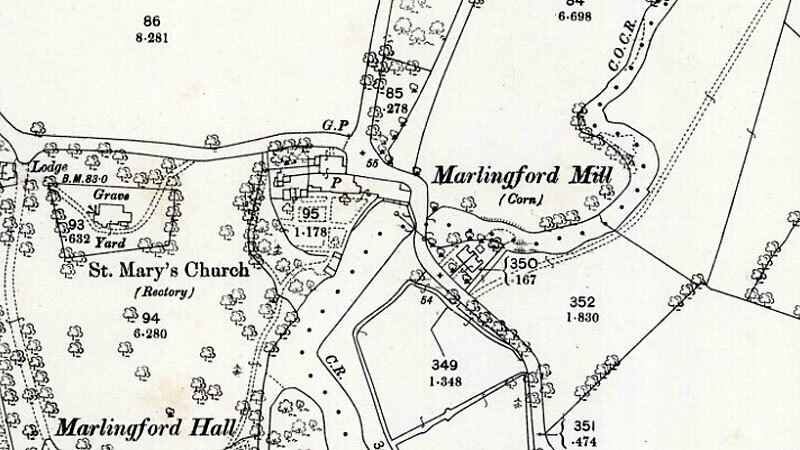 I am a descendant of the Thompson family who lived at Marlingford in the late 1800s / early 1900s. I have always understood that my mother was born in a cottage in the grounds. Her father was Clifford Thompson, her mother Ethel née Dann. 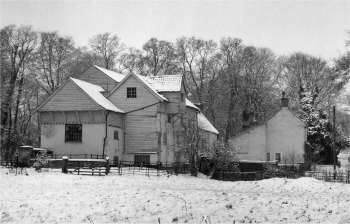 She was a member of another prominent family in the Wramplingham/Barford area. My name is David Roper (73 years of age) and I live south of Adelaide - South Australia. My great-grandfather William Henry Roper (travelling alone), arrived in South Australia as a fifteen year old lad on 5th January 1850, having been born at Hoxne in Norfolk from parents who had been flour millers at Marlingford until their move to Greenwich - London. His father named John was the son of Thomas Press Roper whose wife was Sarah nee Bradfield. 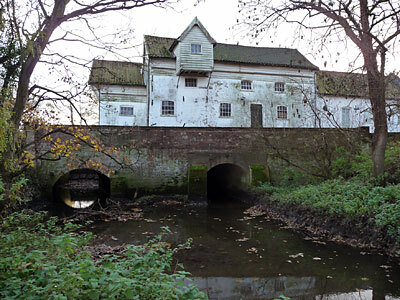 My (Gt Gt Gt Grandfather) Thomas Press Roper died in 1843, and from the article on the Bawburgh_Road_Towermill I perused on the internet, it occurred to me that the Thomas Roper - Miller in that article could possibly be one in the same person as my relelation? My great grandfather William Henry bought and operated a (steam then oil engine) flour mill at Second Valley south of Adelaide from 1877, where it still stands to this day as a restaurant after being in the Roper family for 107 years at which time it passed to new owners in 1984. I have done authenticated research on 'my' Roper family from father to son from 1584. Thomas Press and his wife Sarah had two sons, John - my Gt Gt Grand father and George, and three daughters - Sarah, Mary and Ann. George was born 18.9.1793 at Marlingford, (was he George Roper - Miller 1836?) 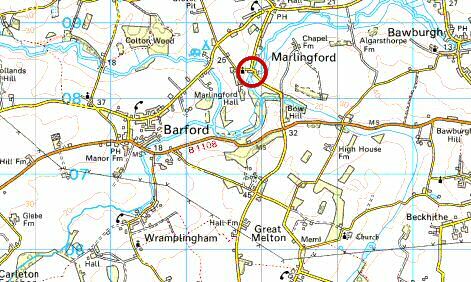 and John born 1.3.1786 at Marlingford removed to Greenwich and worked as a clerk for Mumfords at their flour mill in that locality until his eyesight deteriorated, then he worked for a Mr. Whitfield in the coal trade. With the advent of the 'industrial revolution' and possibly his fathers milling business being declared insolvent (presuming Thomas Roper was his father) then I can fully understand why he should seek a life elsewhere.